Of the many hangout places available to us 21st century citizens, a mall is probably the most inclusive, catering to children and adults alike. From mere shopping zones, they have now become a one-stop entertainment centre. If you are wondering which mall provides you the largest space to lose yourself in, here’re where you should head to for the largest malls in the world. Interestingly, China boasts of the top two in this list. The South China Mall in Dongguan (China), the world’s largest, has a total area of 892,000 square metre, more than double the world’s smallest country (Vatican City occupies only 440,000 square metre). Unsurprisingly, for 10 years after its opening in 2005, 90% of its stores remained empty, so it is also known as the world’s loneliest mall. 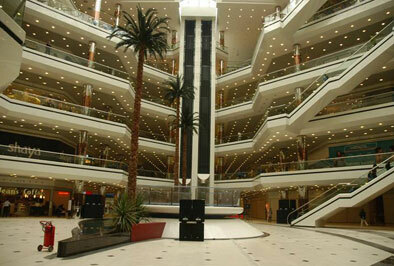 Before the South China Mall opened, the title of the world’s largest mall was held by the Golden Resources Mall in Beijing (China) during 2004–05. Its location on the outskirts of Beijing and expensive products hampered its initial growth, but with the expansion of the middle class, the ‘Great Mall of China’ now remains so crowded that it has opened a second phase across the street. 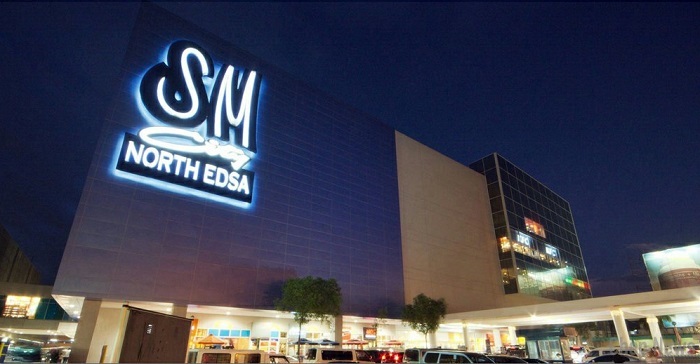 The 1985-built SM City North EDSA in Quezon City is the largest mall in Philippines, as well as the largest mall to run on solar power in Southeast Asia. There’s even a tram to take people around inside the mall. Since opening in 1985, SM City, which introduced the concept of one-stop shopping in Philippines, has seen four expansions. 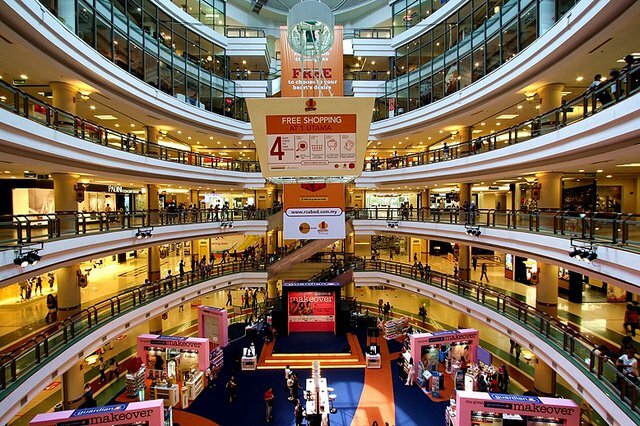 The largest mall to follow the SM franchise in Philippines is the 1 Utama in Damansara (Malaysia). This 1995-built structure has the biggest rooftop garden in Southeast Asia, an arcade centre, a 36-lane bowling alley and two karaoke centres, among other notable features. On an average weekday, it witnesses footfall of up to 90,000 people.